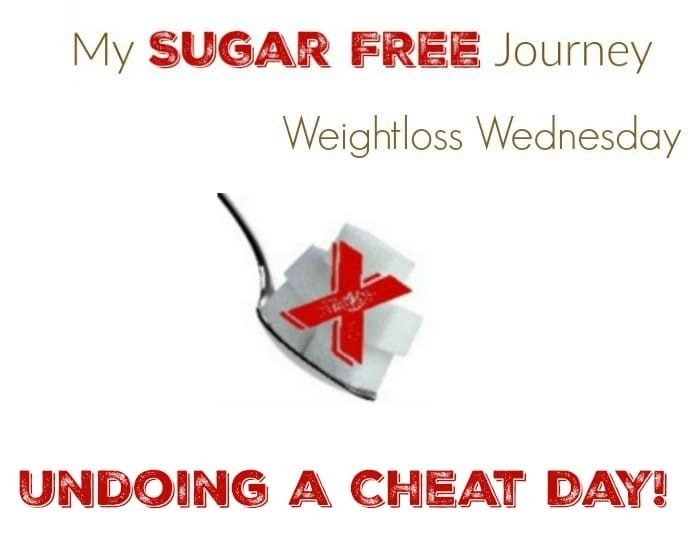 8/10 Weightloss Wednesday: Undoing a Cheat Day! It’s Weightloss Wednesday! After 2 consecutive weeks of setbacks and plateauing I have broken through! As of this morning I am 245.9 lbs which means I have lost 154.1 lbs total and 54.1 lbs so far this year. It feels so good to start seeing those numbers start trending down again. The exercise part of my day is going well also. Last night I finished week 2 of C25K and am actually getting to the point where I could see myself perhaps being able to jog for longer distances. Wouldn’t that be cool! Although I have to say that every time I actually start running, I am keenly aware of how poorly trained I am at running. I know there is a proper form I should be using to minimize impact and injuries but I have no idea what that is. I’ve reached out to a few people to see if maybe I can get some advice and if I hear back from anyone, I’ll let you guys know. I am also biking on the days I’m not running and starting the day off with a few deep knee bends to stretch out my hips (which are still incredibly tight for some reason, I probably need to go to more aggressive form of stretching or Yoga or something) and a few pushups. I feel like I should probably invest in a Kettle Bell like this one or something else heavy to do a little more strength training but since I don’t know what I’m doing, I don’t know what to do. All in all, everything is good and I’ve finally undone the damage from my cheat day a week and a half ago. Good grief that was a dumb idea. I think I am back on track to meet my goal of being under 240 at the end of August so it’s full steam ahead toward that goal! PREVIOUS POST Previous post: Keto Tips: Cheat Days Hurt! NEXT POST Next post: The My Sugar Free Podcast: Interview With Dr Paul Jaminet!